When you have a garage, you typically rely on it to be able to safely store your cars, as well as to get into and out of your home. If your garage door suddenly won’t open or close properly, it could be quite the hindrance to your daily routine. Here at Garage Door Doctor, we’ve come up with a list of some of the most common problems when it comes to your garage door, and when it may be time to call in some help from professional garage door technicians. 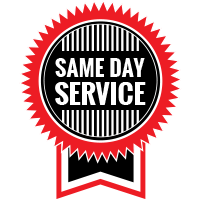 Garage Door Doctor proudly offers garage door services in Indianapolis and the surrounding areas. 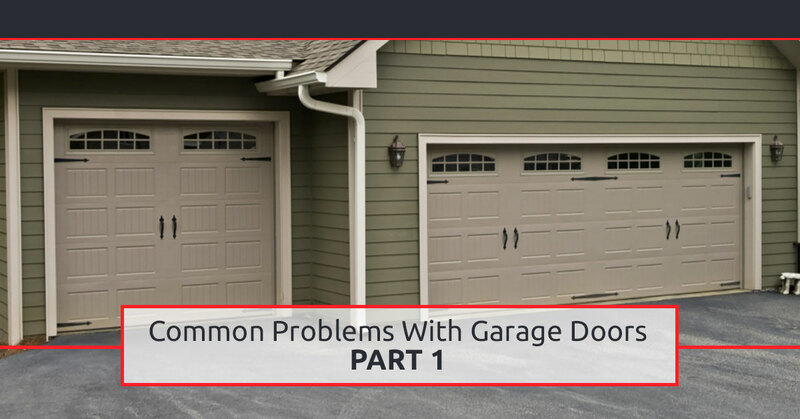 Continue reading to learn how common problems with your garage door can be properly addressed. #1. One side of your garage door will not close all the way to the ground. If you’re trying to close your garage door and you find that one side touches the ground and the other side does not, you may be dealing with a frayed cable. Another possibility is that your extension spring cable pulleys are worn. In both instances, it would be best to have a professional inspect your garage door in order to determine whether or not either the cables or pulleys need to be replaced. #2. Your garage door seems to “stick” when you’re trying to open or close it. If your garage door seems to be sticking in place as you try to open or close it, the cause could be a few different things. The first thing you can check is your remote garage opener to see if the batteries need replacing. Then, move on to check the garage opener sensor and switches to ensure that they are working properly. You will also want to check the electrical connection to your garage opener to see if the problem lies there. Another common factor when garage doors stick is that the track is not properly lubricated. You can check your garage door track and apply lubrication as needed. Finally, for a sticking garage door, you will want to ensure that the door is hanging evenly. You can check that the door’s cables and springs to see if they are all at an even length. If your cables or springs need to be adjusted, it is best to call a professional. #3. Your garage door will close and touch the ground, but then it reverses immediately. If your garage door closes all of the way and even touches the ground, but then goes back up immediately, this is typically a problem with the close limit switch. This problem can be remedied with a simple adjustment to the close limit switch. #4. Your garage door will only close part of the way and then it reverses. If you’re trying to close your garage door and it does not even hit the floor before it reverses, there are many factors that could affect this. The problem will likely come down to a broken cable, misalignment, worn extension spring pulleys, or the track is bent. All of these problems can be best handled by a professional garage door technician. #5. Your garage door seems to shimmy or move unevenly from side to side. Garage doors that tend to shimmy or move unevenly when they’re being opened or closed are likely being affected by dirt and debris that is stuck in the door’s track. Clean the door’s track and apply some lubrication to see if that solves the problem. If you are still experiencing the same problem, it may be caused by the door’s springs. If your garage door is in need of spring replacement, this job is best left to professionals. Here at Garage Door Doctor, we are used to dealing with a wide variety of common garage door problems. 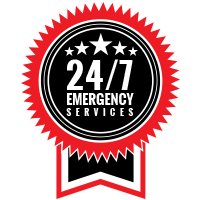 When you’re having a problem with your garage door and you’re not sure how to troubleshoot or fix the problem, our professional garage door technicians can help. We offer garage door services in Indianapolis and the surrounding areas. If your garage door is in need of maintenance or repair, call Garage Door Doctor today. And be sure to stay tuned for our next blog, where we will continue our list of common problems with garage doors.